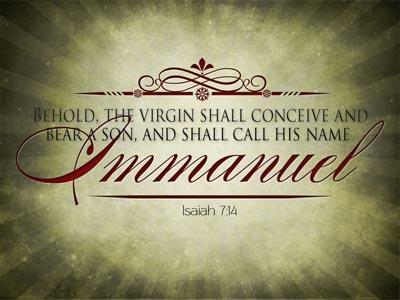 GOD WITH YOU Matt.1:23 Look, the virgin shall conceive & bear a son, & they shall name him EMMANUEL," which means, "GOD IS WITH YOU." Once upon a time, a certain king was very rich & very powerful. He lived in a huge palace, & all the kings around him bowed before his might. While traveling through a small peasant village, he laid eyes on a young woman. She was just a peasant, dressed in rags most of the king's courtiers & nobles would not have thought much of her. But to the king, she was beautiful. Instantly, he fell head over heels in love. He had to have her for his wife! The king went back to his palace & considered how he might win the heart of the fair maiden. "I know, " he said, "I will issue a decree! I will order her to be brought to my palace & made my queen!" But then the king realized that plan was no good, for love cannot be commanded. He thought some more. "I know," he said suddenly, "I'll sweep her off her feet! I will shower her with riches, crowns, jewels, & fine clothes. " But then the king realized that plan was no good, for love cannot be bought. Thinking some more, the king formulated a new plan: "I will disguise myself! I will dress in rags, & sneak into the village. Then, disguised as one of her own people, I will find the peasant woman, & declare my love." But the king did not like the duplicity of this plan for love must be based on truth. Finally the king knew what he had to do. He stood up & removed his royal crown. He laid down his royal scepter. He took off his royal throne. He gave up his royal throne. & then, he actually, literally BECAME a peasant. He dwelt in a hovel, he scratched out a living in the dirt, & he groveled for food. & after a time, by living this life, he won the heart of the one he loved. That story is actually a parable, created by a Danish philosopher named SOREN KIERKEGAARD to illustrate what we celebrate at Christmas: that the God of the Universe, the King of Creation is so in love with you & me that He BECAME ONE OF YOU. He lived among YOU, suffered with YOU, died for YOU. 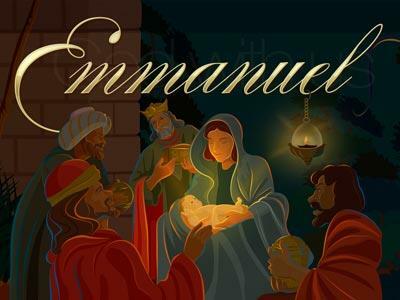 Matthew 1:23 "The virgin will be with child & will give birth to a son, & they will call him Emmanuel" --"God with YOU." Make no mistake: the child whose birth we celebrate was a real, flesh-&-bone baby. He laughed, he cried, he wet his diapers. 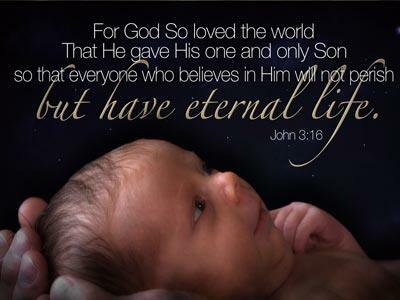 But he's not just a baby for Mary's child is named Jesus, which means "God saves," & Christ, which means "God's anointed one," & Emmanuel, which means GOD WITH YOU. Every year on his Christmas Day broadcast, Paul Harvey tells a story that has come to be a favorite of mine. & every year around Christmas time, I try to find a way to slip it into a sermon! It's the story of a family who is about to go to church on a cold, snowy Christmas Eve, & the husband & father of the family declines to go. "It wouldn't be honest," he explains, "because I just don't believe it. All that business about God becoming a human. I just don't buy it. You go on without me, & I'll stay here & read by the fire." The family gets bundled up to go. It is a bitterly cold night & the man cozies up to the fire with his book. After they've left, he suddenly hears a loud thump coming from the huge plate glass window in the living room. Could it be some kids throwing snowballs at the window? He hears the thump again. This time he gets up to see what it is. Nearing the plate glass window, he sees a small bird crashing into it. Apparently the bird wants to come inside the house, but doesn't understand that the window is covered with glass. Looking out into the yard, the man sees an entire flock of these little birds huddled together on the frozen ground. He realizes that they will not make it through the night exposed to the cold. & so he goes out to his barn, turns on the light, & opens the door wide. "Here you go, little birds," he says. "Come on in!" But the birds do not understand. They don't go into the barn. So the man decides to try to entice them in. He gets some bread from the kitchen & places crumbs around the inside of the barn. The birds don't budge. He even tries making a trail of crumbs from the birds to the barn. They don't go for it.